If you applied to migrate to Canada through Express Entry before the draw done on the 8th of Feb 2017. The draw has dropped the CRS points required to qualify to below 450 for the first time ever since the Express Entry History. The latest Express Entry draw conducted on 8 February 2017, has broken new records with the Comprehensive Ranking System (CRS) point’s requirement dropping below 450 for the first time ever. A total of 3,664 candidates in the Express Entry pool with 447 or more Comprehensive Ranking System (CRS) points were issued with an Invitation to Apply (ITA) for Canadian residence. Apart from the CRS points being lower than ever, the number of ITAs issued is also the highest since the Express Entry Immigration system was introduced over two years ago. 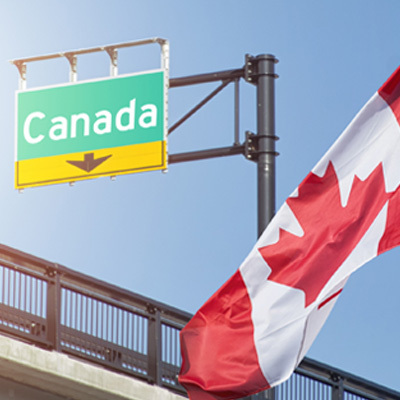 Candidates who have received an ITA will now be in a position to submit an application for Canadian permanent residence to the Immigration, Refugees and Citizenship Canada (IRCC). The principle applicant can also come along with their accompanying family members, spouses or common-law partners, and dependent children. The Express Entry system has seen an increase in activity during the first few weeks of 2017. During the last few months of 2016, Immigration, Refugees and Citizenship Canada (IRCC) revealed plans to improve the system and to issue a higher number of ITAs. In addition to that, the IRCC mentioned that the improvements made to the Express Entry system in November 2016, would allow more candidates to be invited to apply based on their human capital, skills, and work experience. Among these improvements were changes made to the number of points awarded for a qualifying job offer. In most cases, candidates with a qualifying job offer receive 50 points, although 200 points are available for certain senior management positions, this is down from 600 points before the changes were introduced. Individuals who wish to apply for Canadian permanent residence through the Federal Skilled Worker Class (FSWC), Federal Skilled Trades Class (FSTC) or Canadian Experience Class (CEC) are first required to enter the Express Entry pool. Once they have entered the pool, they are assigned a CRS score based on factors such as civil status information, education, work experience, language ability, and other criteria. Candidates are ranked in the pool according to their CRS score, and the IRCC regularly conducts draws to invite the highest ranking candidates to submit an application. To learn more about the Express Entry system, click here.